Thank you to Raymour & Flanigan for sponsoring today’s post! We are slowly chipping away at each room in our new home (although can I still call it new if we’ve been in it almost a year?) and the latest one to get a facelift is our master bedroom. Now I have to tell you, this room isn’t complete by any means. We still plan to add a sliding barn door for then closet and bathroom, add some shades (the same ones in Landon’s room), new curtains, and some photos of our little ones. 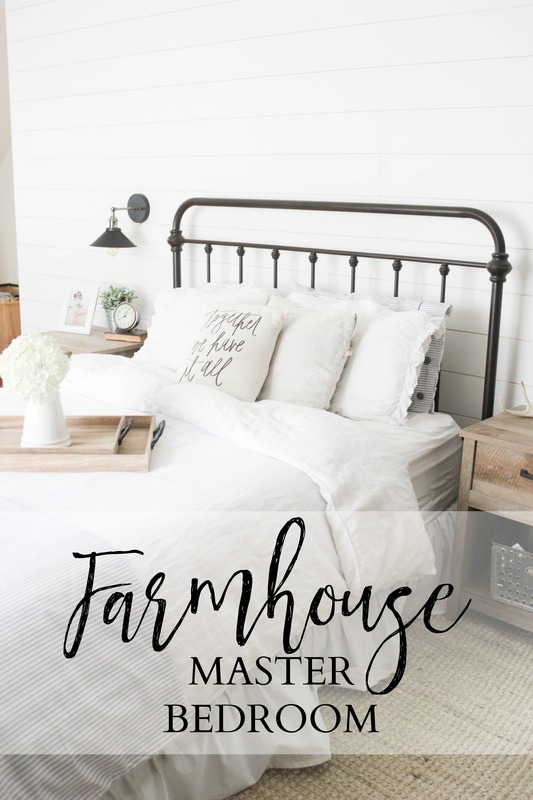 But the progress has been steady going, so I wanted to share what we’ve come up with so far our farmhouse master bedroom! Our bedroom is huge. It runs the entire length of the house, bathroom and walk-in closet included. We have a large living space within the room that I wanted to utilize as well. We do bath and bedtime in our room, plus our dog always sleeps with us in here, so I wanted the area to be functional for us and the kids. I wanted a place I could put Noelle down on her play mat while folding laundry or getting other things done. We made some changes and added some key pieces to help make the space functional. 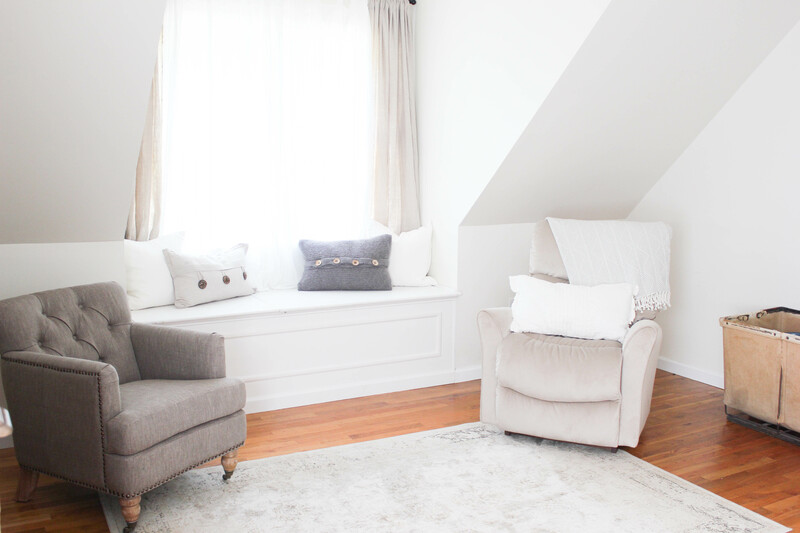 How adorable is that little window seat? I plan on having a custom cushion made to go on top. It’s also storage, so I keep things I’m not currently using inside of there. I also plan on adding wooden blinds in the near future. Of course, I wanted a farmhouse look to go with the rest of our home. Adding some ship lap to the rest of our home helped achieve this, so I wanted to do the same to the wall our bed is against. 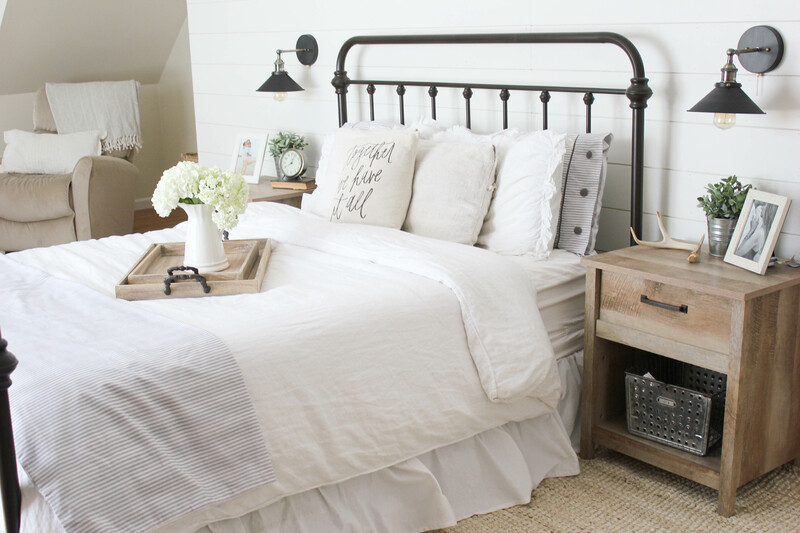 I absolutely love how the bright white looks with the contrast of the dark metal bed frame. Dressers were a priority on our furniture list because the ones we were using previously were from ages ago and broken. We partnered with Raymour & Flanigan again (remember our gorgeous patio set?!) 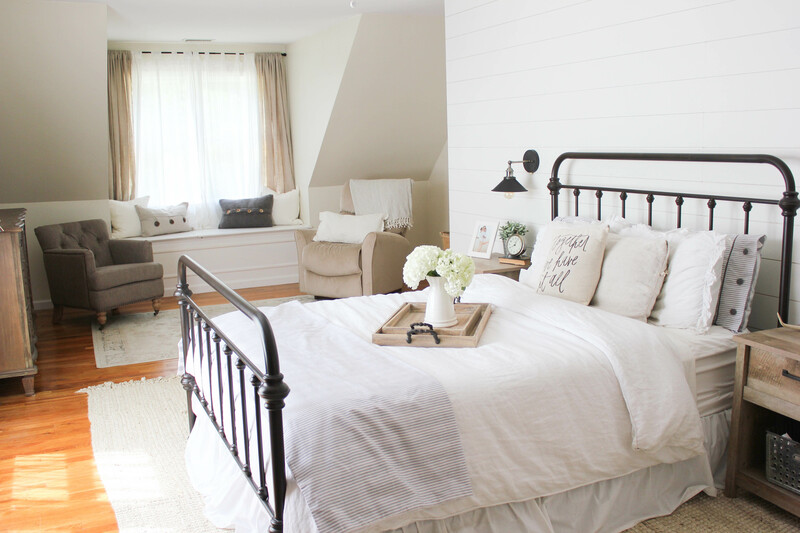 to create this farmhouse bedroom, and I selected dressers from their Whitmore Collection. I love the aged wood look of them, and their ornate style reminds me of an antique piece! We rarely watch television in our room, but I wanted a place my husband could kick back and relax and watch the game before bed. And since the room is so huge, we have room for a seating area. Raymour & Flanigan provided us with these two gorgeous chairs for our relaxation area. I love the detail on the Colin chair. The tiny wheels on the legs remind me of an antique, and I just fell in love with it. 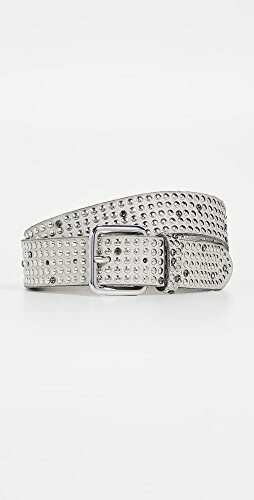 It also comes in a variety of colors! The Chex Recliner has been great to rock Noelle in, and it’s so comfortable. I also love that it’s neutral and blends well with the room. I tucked one of my favorite vintage items, a laundry basket, in back of it which is also up against the attic door. One of the best features about Raymour & Flanigan is their Platinum Protection Plan. I can feel comfortable in knowing that if ANYTHING happens to our furniture, they’ve got it covered. You can read more about that here. 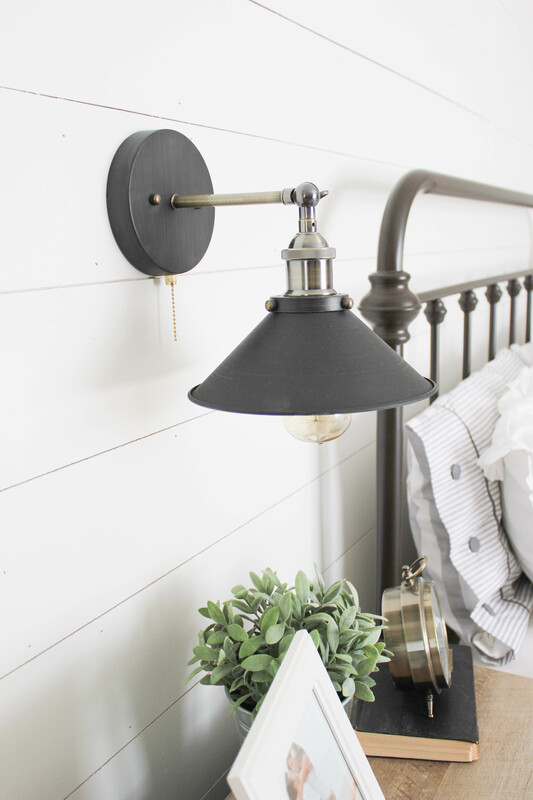 I wanted industrial lighting and found these adorable sconces, which my husband converted to a pull-chain for me. I love the look they add to the room, and again the contrast against the white ship lap wall. 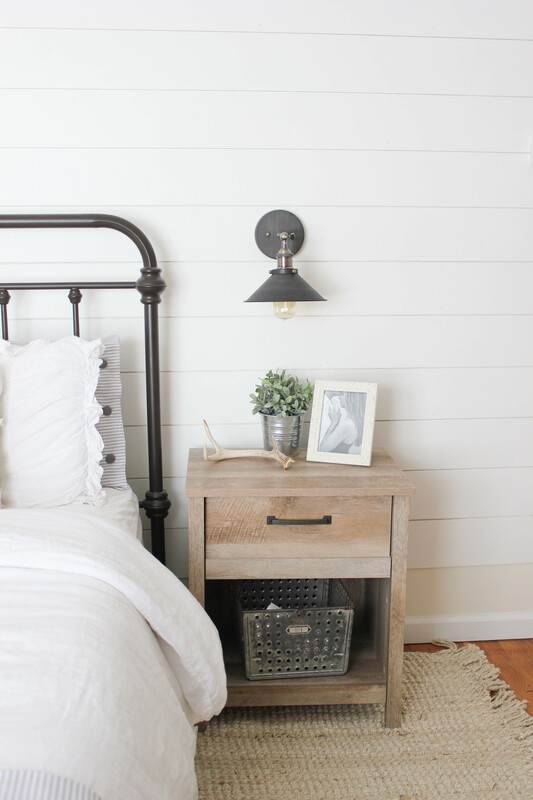 We still have a few tweaks to add to our farmhouse master bedroom, but overall I am loving the feel of the room! I’ll be updating the changes we make as we go, so stay tuned on here or follow me on Snapchat (laurmcbrideblog) to see them in progress! This is so pretty + fresh! Love the room! 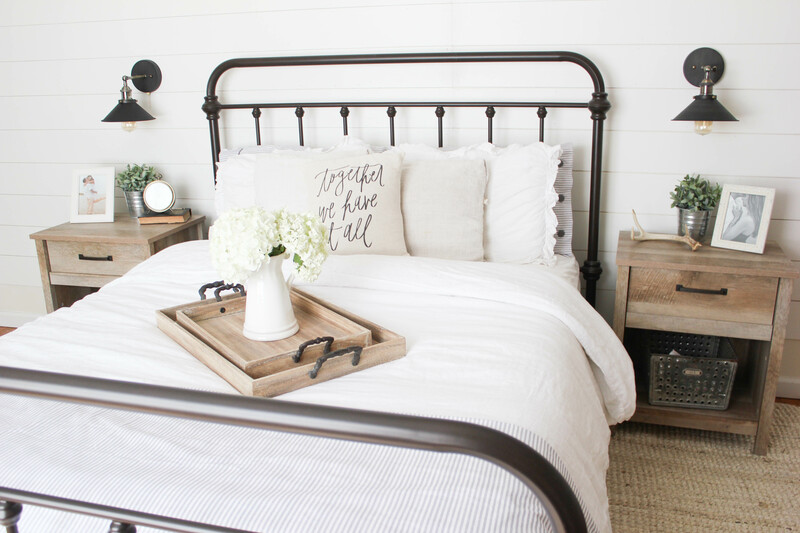 What a beautiful space – you have definitely mastered the farmhouse style in your home. It’s perfect! 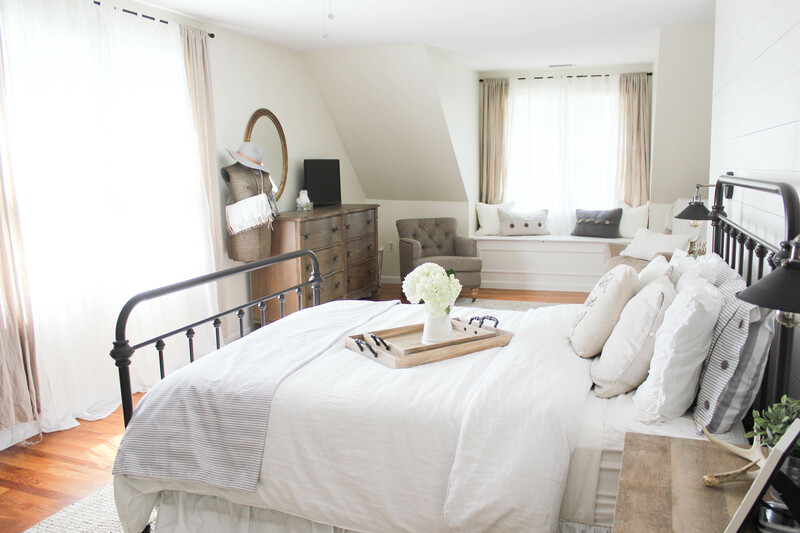 I absolutely love your bedroom & your blog! What a lovely master bedroom! Love the neutral colours and how huge it is! The bedside tables are so gorgeous! Love the soft colors you used, furniture and accessories! 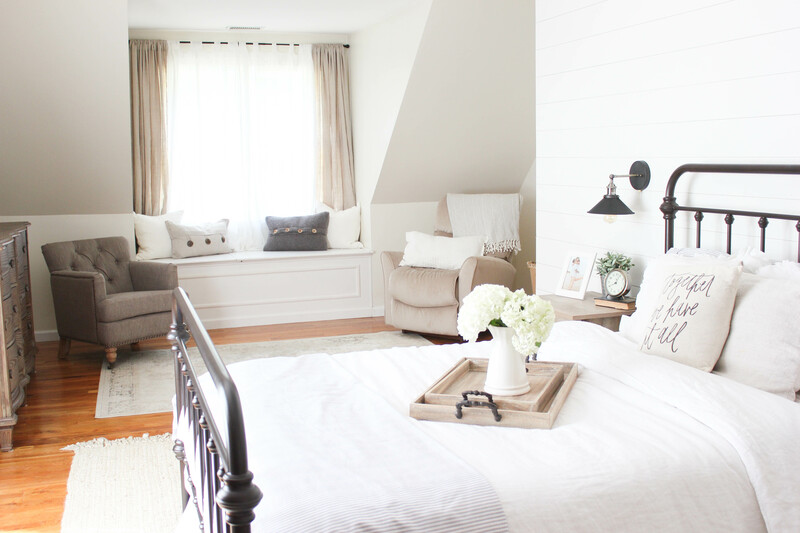 It all works for a feeling of farmhouse calm! Your bedroom is lovely. I love to be able to look at a picture of a room or a place and think “oh, I would like to be there” and I could feel that with your bedroom. I can’t wait to see what else you add! This is a beautiful room! I like that window seat the most. Thank you for sharing this with us on the #HomeMattersParty. We hope to see you again when we open our doors on Friday at 12AM EST. I love this! 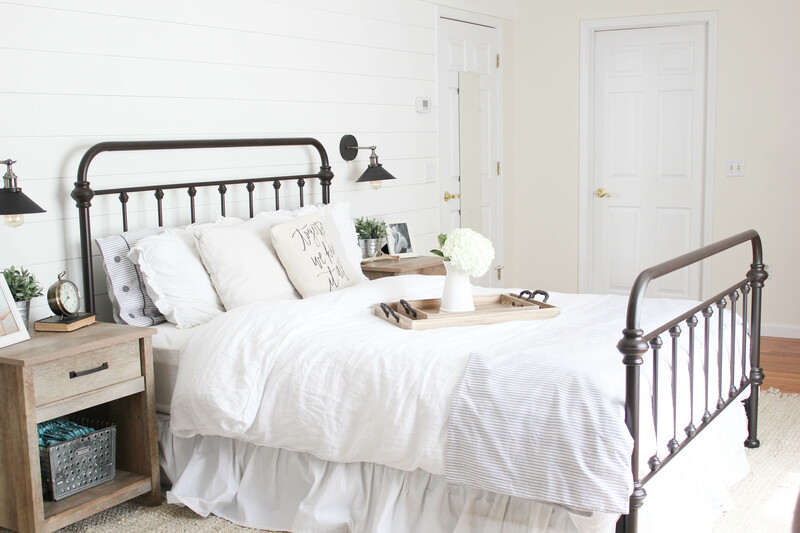 This is exactly what I have planned to do in my guest bedroom! Absolutely love this space! I have been hunting for dressers like that for ages – they’re so beautiful! I wonder why they don’t have them on their site anymore…. I love the look of all of this! Absolutely love your room! Especially your dresser. Unfortunately, they won’t ship it to me here in Texas. 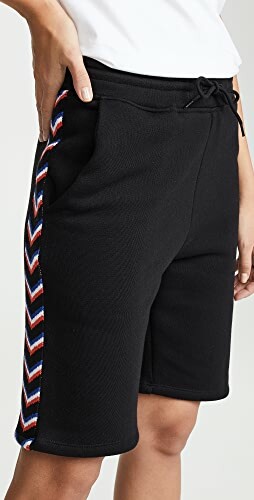 Do you have any other suggestions on one that is similar? I’ve been looking all over. Thanks! I think a saw a similar one on Birch Lane! I’m so sorry they won’t ship to you! You did an amazing job! I love this room! Hi! I love your bedroom! Im especially in love with your bed! You had a link to amazon and some reviews had the bed to be off color with gold streaks. I was wondering if your bed had this look? No, the bed frame is black! 🙂 No gold streaks! Is your bed skirt from H&M or primark? I have this bed and have been trying to find the right bed skirt to go with it! 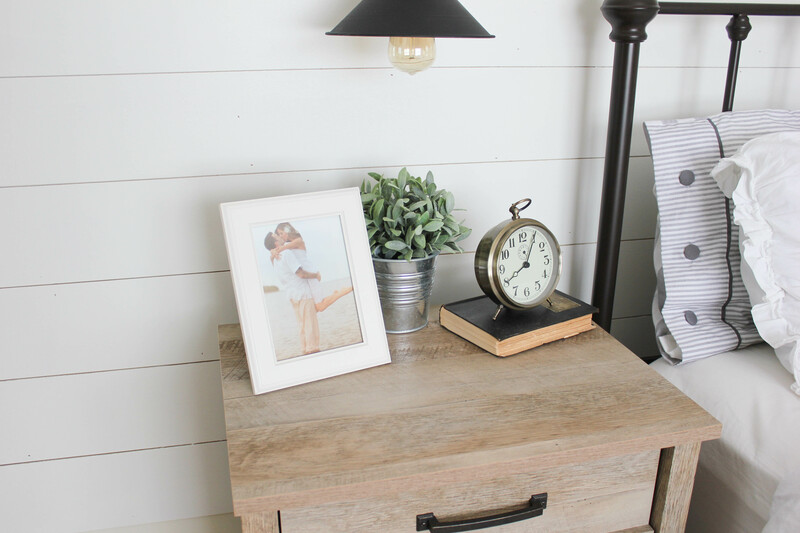 What color paint did you paint your shiplap and walls? I would also love to know this answer to this question! Would you mind weighing in, Lauren? Thanks so much! Hi I am also looking to see how these were converted into a pull chain. 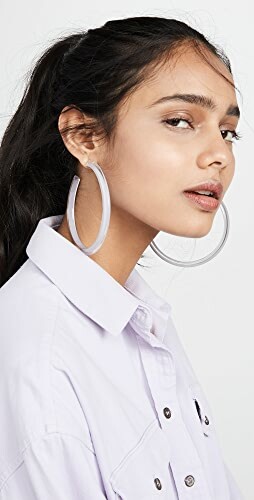 I purchased these and am ready to put them up! Hi! I’ll have to post a tutorial! My husband is an electrician and did it, so I’m not entirely sure how. I’ll have to have him explain it! 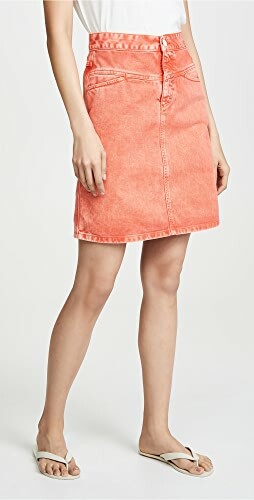 Shop Tan Wedge Sandals, Off White Lace Dresses, Black Sneakers, Designer Gowns and more. Get this widget.